Jennifer was named as one of the Top Ten Women Emerging Lawyers by the Law Bulletin Publishing Company’s Leading Lawyers Division…on a fast track to the top. This distinction is earned by fewer than 2% of all lawyers licensed to practice law in the state of Illinois who are 40 years old or younger. Jennifer's Leading Lawyer peers most often recommended her for this distinction in the areas of Personal Injury Law and Nursing Home Negligence Law. Check out her profile on http://www.leadinglawyers.com/about.cfm now! We are proud to announce that Jennifer P. Irmen was again named a SuperLawyer this year in the area of Personal Injury! This distinction is earned by fewer than 5% of all lawyers licensed to practice law in the state of Illinois. Super Lawyers is a rating service of outstanding lawyers from more than 70 practice areas who have attained a high-degree of peer recognition and professional achievement. The selection process includes independent research, peer nominations and peer evaluations. 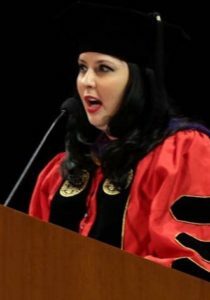 Upon graduation from The John Marshall Law School, Jennifer was appointed to the JMLS Alumni Association Board of Directors, a board that meets with JMLS' administration once a month to discuss and plan for the future of JMLS. After serving in several leadership roles the past 12 years, Jennifer served as President of this association in the 2016-2017 bar year. The JMLS Almuni Association bestowed upon Jennifer its coveted Service Award for her dedication to the school, its students, and its alumni in the 2010-2011 bar year. 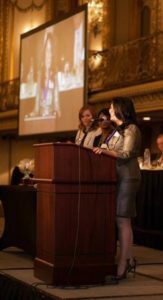 Last year, Jennifer was elected Financial Secretary of the Women's Bar Association of Illinois. In her capacity as a director over the last eight years, Jennifer developed a fresh brand and logo for the WBAI as well as created a new marketing concept for the WBAI's website, publications, and other marketing pieces of which she received a Service Award from the WBAI's President during the 2009-2010 bar year. 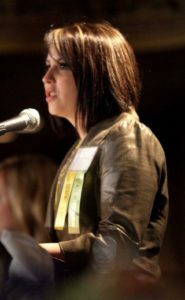 Jennifer co-chaired the WBAI's Annual Installation Dinner, its largest event in the 2010-2011 and 2015-2016 bar years, as well as the WBAI's Judicial Reception during the 2010-2011 bar year and the 2012-2013 bar year. For two years, she also served as a liaison between the WBAI and the Women's Bar Foundation, an organization that is solely dedicated to raising money for student scholarships. Jennifer also served as a Chair of the WBAI's Golf Outing and the WBAI's Centennial Gala, celebrating the WBAI's 100th year in existence in the 2013-2014 bar year. In 2013, Jennifer received The Diversity Scholarship Foundation's Advocate for Diversity Award for her efforts in advancing inclusion in the legal community and being a zealous advocate for diversity. The Diversity Scholarship Foundation was established by a group of attorneys and judges committed to the ideal that diverse law school student bodies are a means of ensuring further diversification in the legal community. Take a moment to review the Diversity Scholarship Foundation's website at http://www.diversitychicago.org/dc/.